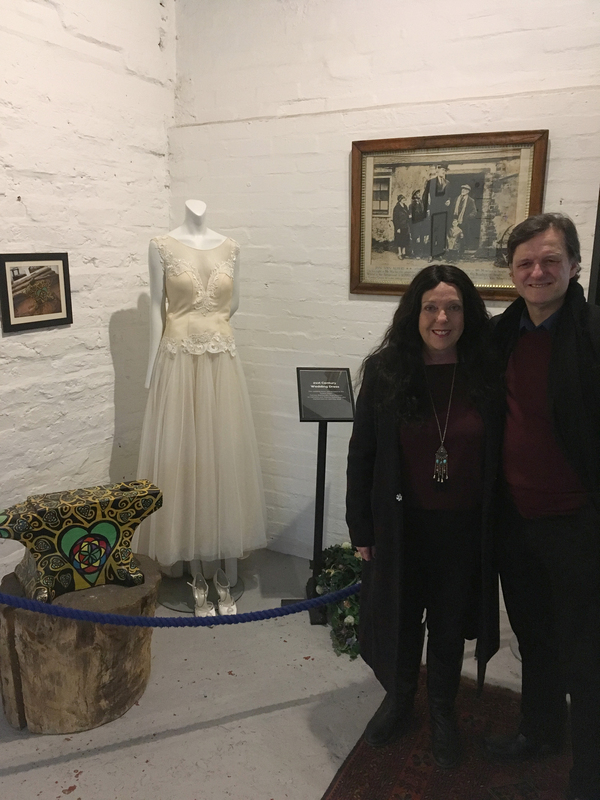 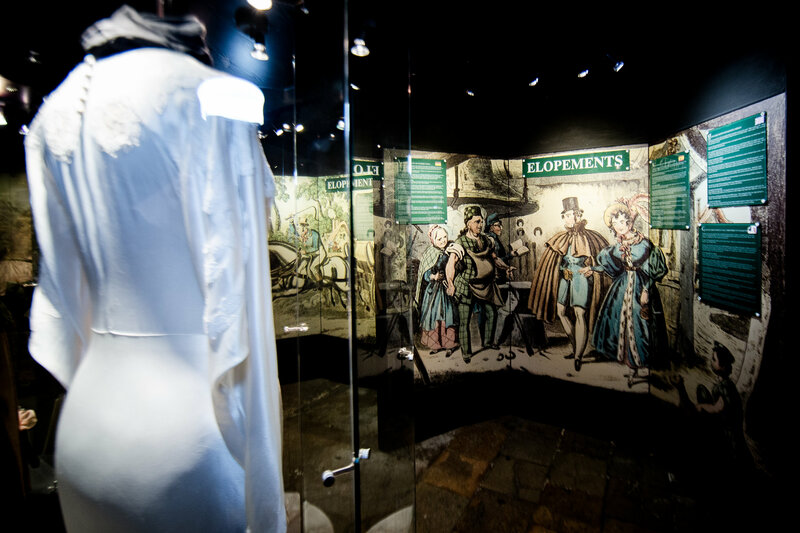 On the 25th of November, we celebrated the instalment of a new addition to our Famous Blacksmiths Shop Museum; our first ever wedding dress donation at Gretna Green. 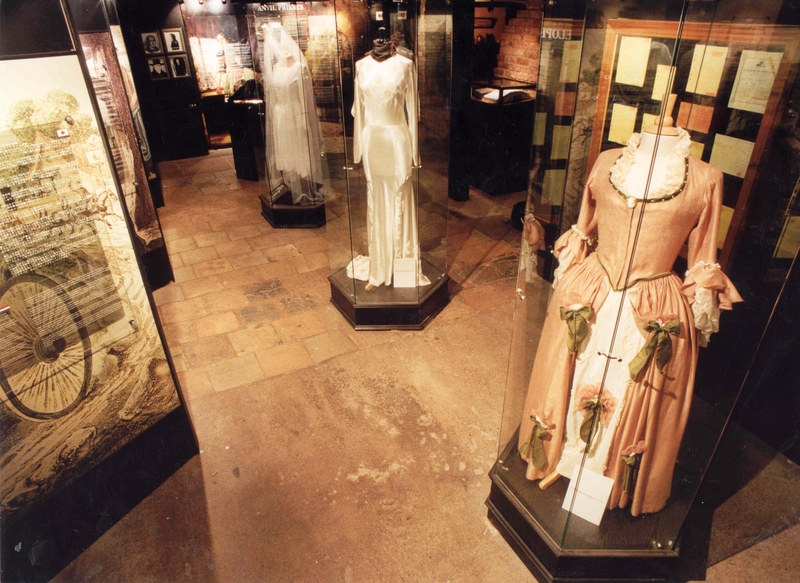 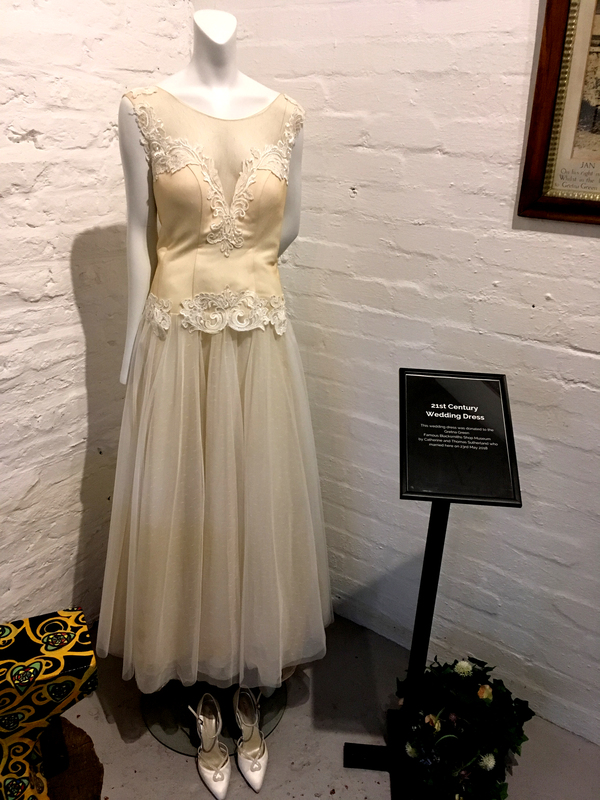 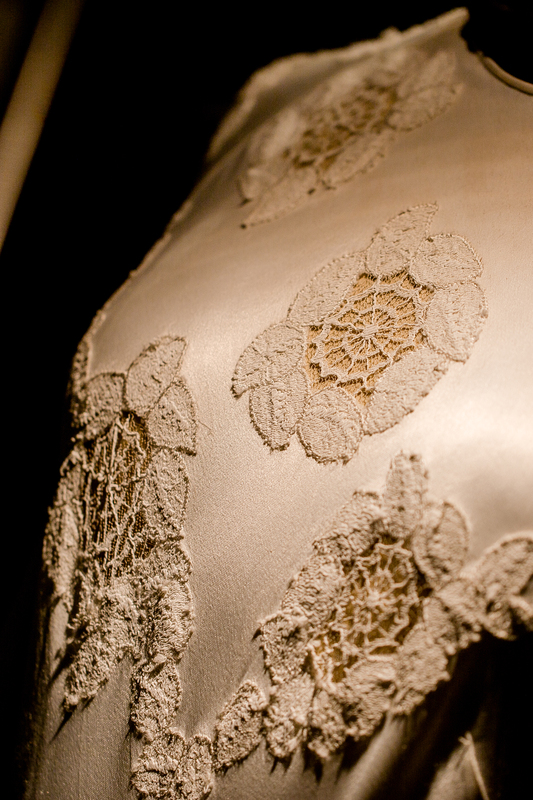 The beautiful dress, donated by bride Catherine, who was married to Thomas Sutherland on 23rd May 2018 at Gretna Green, now sits alongside our existing collection of vintage wedding dresses, including, the dress worn by Mrs Mackie, the Great Grandmother of the present owner of Gretna green; Alasdair Houston, on her wedding day in the 1930’s. 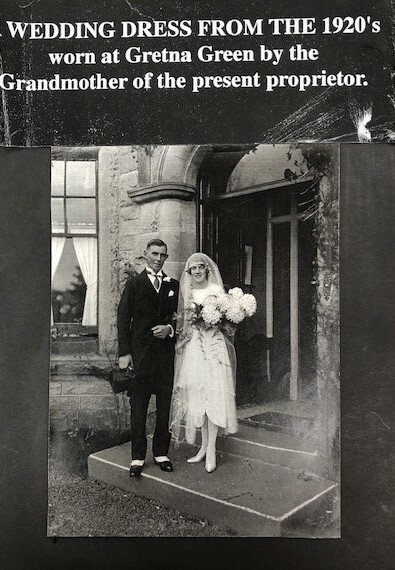 Catherine and Thomas Sutherland “tied the knot” at Gretna Green after falling in love with the history, heritage and story of the Famous Blacksmiths Shop.